Traditional design at its best. Ultimate Refreshment from your kitchen faucet. 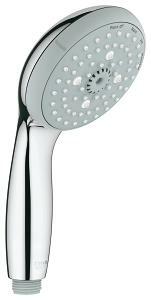 The Tempesta shower head and hand shower have been built to withstand the rigors of day-today, year after year use. Tempesta features a wide 31/2” spray face to create a very satisfying shower with maximum water coverage and no empty or “dry” spots. SpeedClean® nozzles prevent the build-up of limescale while GROHE’s CoolTouch® technology creates a thermal barrier to isolate the surface of the hand shower from the hot water passing through it. Tempesta incorporates the benefits of GROHE DreamSpray® technology and an innovative silicon ring wraps around the edge of Tempesta’s shower face to minimize damage to your bath tub or shower pan if you drop it. 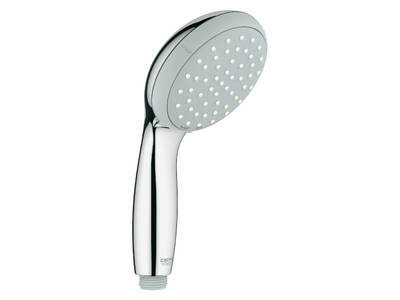 Tempesta offers superb showering enjoyment at an unbeatable price. For maximum choice and a different sensation every time you take a shower, choose either the four-spray New Tempesta IV or the three-spray New Tempesta III. If you like to keep things simple, choose New Tempesta II with two spray patterns. Packed with GROHE DreamSpray® technology, for perfectly balanced water distribution, all designs have been engineered to provide a luxurious and enjoyable showering experience, while using less water and energy. 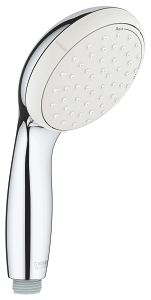 New Tempesta IV and New Tempesta III shower heads have a maximum flow rate of 9.4 l/min, for further savings choose New Tempesta II, which features a reduced flow rate of only 5.8 l/min. Wide and luxurious – a soft, delicate pattern to soothe the skin. Mimicking warm summer rain, the spray provides a full and even coverage. 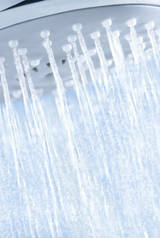 A soft, smooth spray based on our original Rain spray. 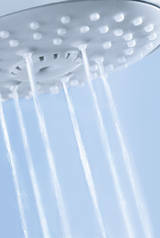 Air is drawn into the shower head and mixed with the water for a wide and fuller spray. A pulsating spray pattern for a stimulating massage. A focussed circular spray, which delivers a refreshing burst of water. Ideal for stimulating the skin or simply cleaning the bathtub or shower. In a product test initiated by GROHE and conducted by independent market research institute, The Consumer View, in cooperation with the University of Applied Sciences Nordhausen, test participants replaced their hand shower with a New Tempesta. 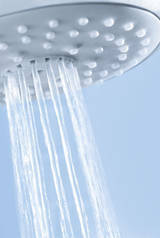 After using the shower at home for two weeks, the consumers were asked to give feedback. The results speak for themselves: 9 out of 10 consumers said that they preferred the New Tempesta to their current hand shower. Download the test results to find out more. No scalding on hot surfaces thanks to 100% GROHE CoolTouch®. Innovative quality showers for luxurious revitalisation and wellbeing.